Making amazing tortilla soup today in the crockpot! This fresh and zesty Slow Cooker Chicken Tortilla Soup Recipe is an updated version of my classic tortilla soup, perfect for setting and forgetting until dinnertime. Then… it’s completely unforgettable! A classic Tex-Mex favorite. A true crowd pleaser. A bowl of divine comfort. 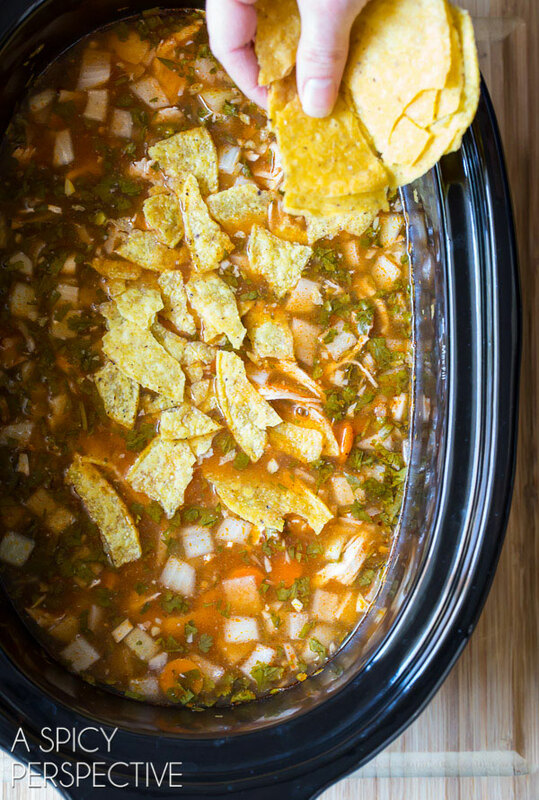 People think many things when it comes to Chicken Tortilla Soup, but they usually don’t think slow cooker. I’m not entirely sure why. 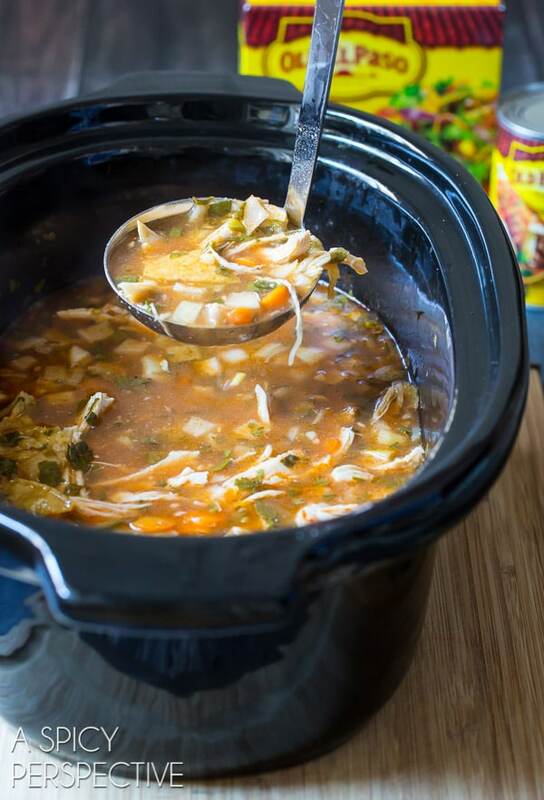 We’ve been slow cooking nearly every meal the last few weeks, so it’s no wonder I decided to turn my stovetop tortilla soup recipe into Slow Cooker Chicken Tortilla Soup. 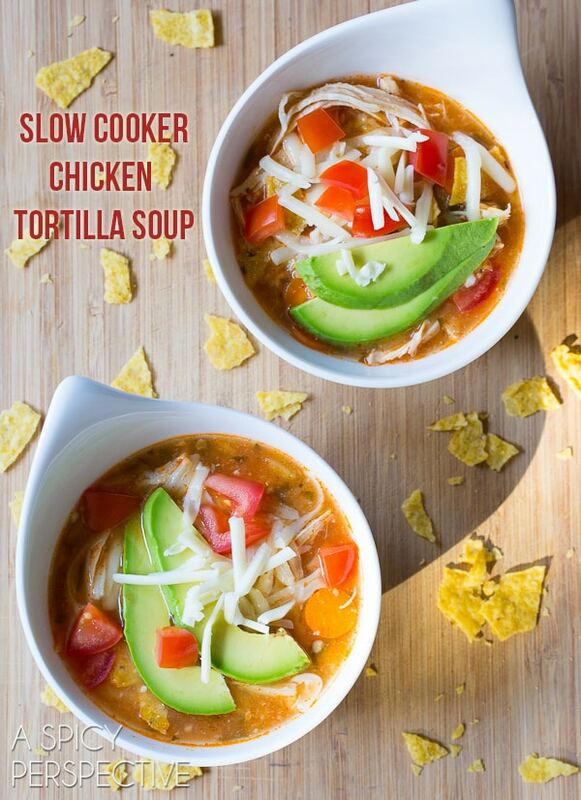 I’ve been making chicken tortilla soup for years. In fact, one of my oldest dearest friends was converted into a cilantro-lover by my tortilla soup recipe. No lie. Before she tried it, she swore off cilantro stating it tasted like dish soap. Tortilla soup made her a believer. It’s also a dinner my kids ask for on a regular basis. Loaded with veggies, in the soup and on top, I’m always happy to oblige. 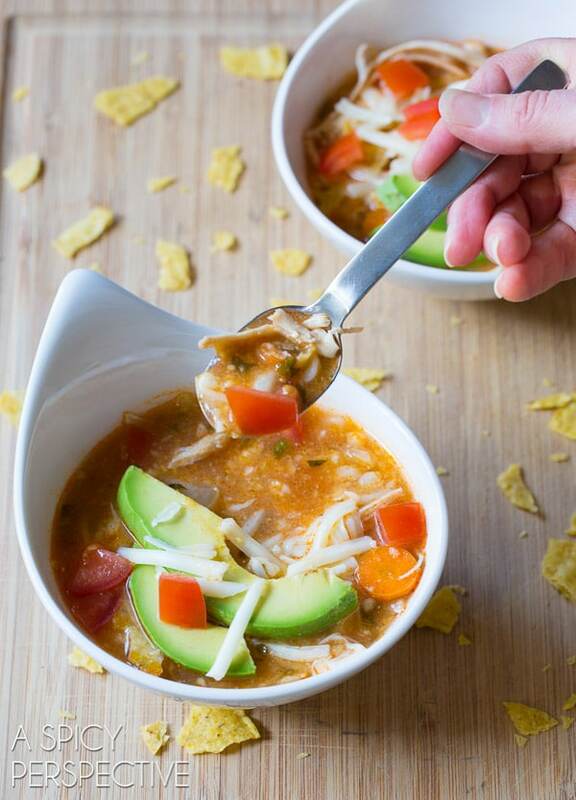 Our Slow Cooker Chicken Tortilla Soup is a spin on the classic, created for prep speed and ease, with the same vibrant zesty flavors as the original. It’s designed for the cook that wants to start dinner in the morning before leaving for work. Then come home later to a house that smells like heaven. To make morning prep quick and easy, I added whole chicken breasts to the slow cooker, along with roughly chopped veggies, and Old El Paso Red Enchilada Sauce. The enchilada sauce offers depth and spice without the need of measuring out various Mexican spices. After a day of slow cooking, our Slow Cooker Chicken Tortilla Soup recipe is ready for a quick second step. Simply remove the chicken breasts and shred it with a fork… It should fall apart in moments. 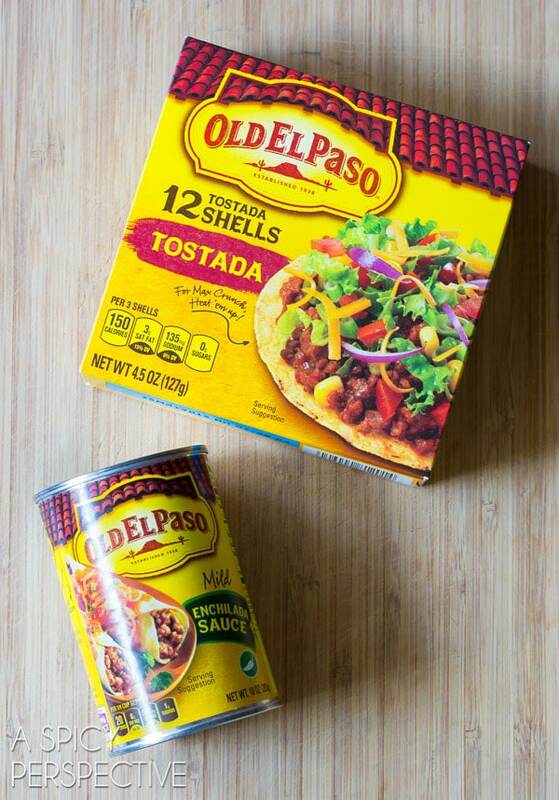 Then add it back to the slow cooker, along with crumbled Old El Paso Tostada Shells to provide the tortilla in chicken tortilla soup! Sprinkle with your favorite fresh toppings and you have a bowl of cozy goodness. This Slow Cooker Chicken Tortilla Soup is a love-fest of flavor and texture you’ll want to devour again and again! 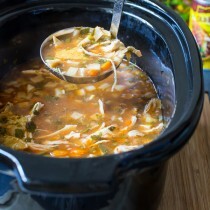 Best ever Chicken Tortilla Soup in the Slow Cooker! The easy and fresh Slow Cooker Chicken Tortilla Soup Recipe is bright, zesty, and loaded with goodness. 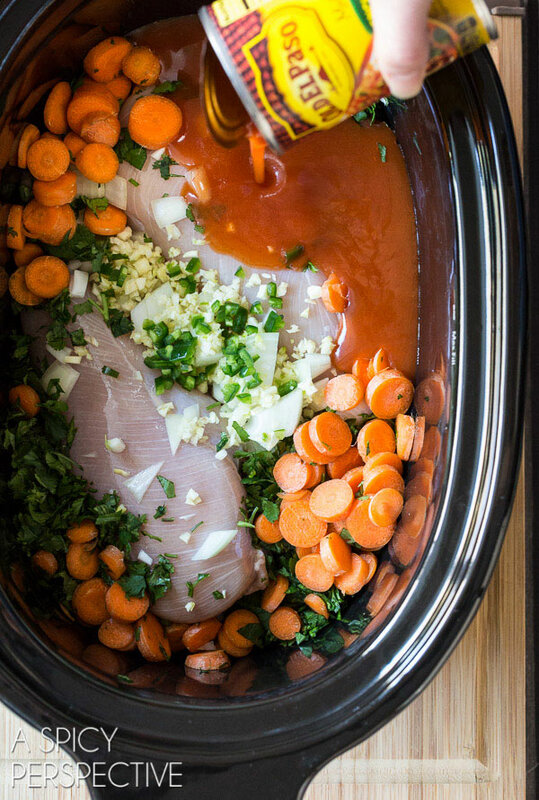 Place the chicken breasts, carrots, onions, garlic, cilantro, jalapeno, bay leaf, Old El Paso Enchilada Sauce, and chicken broth in a large slow cooker. Season with 1/2 teaspoon salt and 1/4 teaspoon black pepper. Cover and turn the slow cooker on medium to low. Slow cook for 8-10 hours. When ready to eat, remove the chicken breasts and shred with two forks. Place the chicken back into the soup. Then crumble 8 Old El Paso Tostada Shells into the soup and stir. 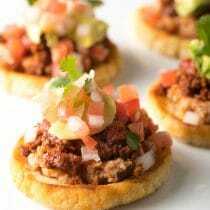 To serve: Ladle the hot soup into bowls and garnish with more crumbled tostada shells, a sprinkle of cheese, sliced avocado, and diced fresh tomato. NOTE: This slow cooker recipe is made to simmer all day while you are at work. You can turn your slow cooker on high and cook it within 3-4 hours, but you will need to saute your onions first, because they won’t soften in the slow cooker in that time. Love this! This recipe makes the perfect chicken tortilla soup! Followed receipt except for the addition of one can of Rotel tomatoes. I will definitely be making this again! I have everything I need for this recipe. Sure look good. It’s freezing here in Kentucky, we’ve been cooped up all week and I think I’ve cooked 200 meals in he last 10 days for my family of 6. I told my husband he’s in charge of dinner tomorrow night (which means pizza carry-out). BUT…. I could probably handle this recipe! 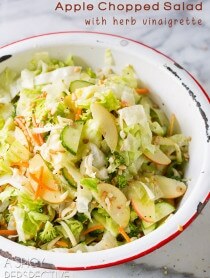 Mmmmm…this looks perfectly easy and delicious for our family’s busy weekdays! What a wonderful recipe for a delicious soup! I love the ingredients and everything else about this soup! 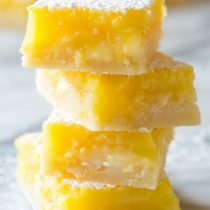 Once again a fabulous recipe…thanks for sharing! This is my kind of dinner. So many days my crock pot saves the day! Josh will love this recipe… perfect for a ski day! I love the idea of using enchilada sauce! 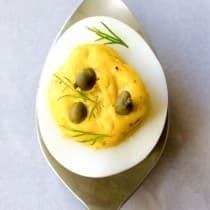 This looks so tasty & how great that it’s so easy?! 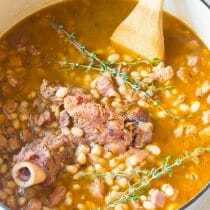 I am a slow cooking freak these days – I am all over this soup Sommer!! After I ski today, this is my dinner!! Looks like perfect comfort food for our wild winter weather, Sommer. 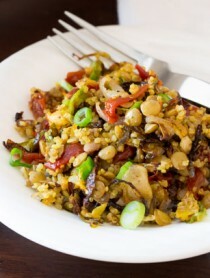 Love the simplicity and ease of this recipe! looks delicious Sommer- perfect for a cold night! 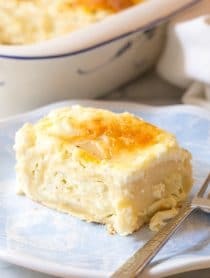 I am buying the ingredients for this today and making it tomorrow. My family will be pinning the “Mum of the week” star to my shirt when I serve this up! I really like how easy this is and how tasty it sounds. Beautiful soup Sommer!! Love it! I love the avocado slices in the picture. Nice touch!